Your wedding day is one of the biggest events in your life, so you want everything about it to be special. Selecting a perfect wedding venue that reflects how unique your relationship is, while also meeting your practical considerations, is the key. With thoughtful planning you can find the perfect place for your big day. A 43-year-old mason worker died while watching Avengers Infinity War at Cinehub Multiplex theatre in Proddatur town in Andhra Pradesh’s Kadapa district on Tuesday. Say no more? Like, every other fan like us, the theatre staff thought that Baasha was probably waiting for the post-credits scene! We, humans, are attracted towards the opposite gender very easily. We try approaching the opposite gender at various places such as bars, clubs, gym and sometimes even at the office. We generally tend to forget the fact that an office or any workplace is an official setup and trying to hit up there, can result in a great a loss! 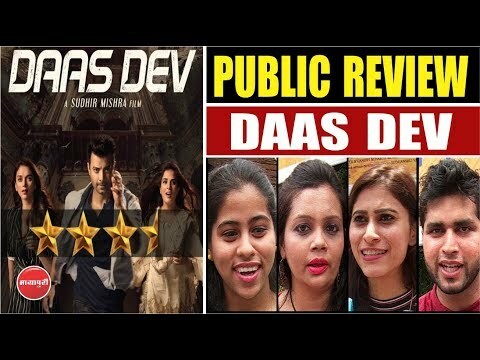 Sudhir Mishra's film Daas Dev has been released. Devdas's love story is thrown in a different way by Sudhir Mishra in his film. Richa Chadha, Aditi Rao Hydari and Rahul Bhatt are in the best actor lead role. Let's know from the audience how did they get the film? Salman Khan is currently shooting his upcoming movie Race 3 in the Sonmarg of Jammu and Kashmir. Many pictures of Salman are getting viral on social media with the pictures of Kashmir's. Now a video of Salman Khan is getting Viral in which he is running Bullet. The special thing about this bike ride is that he is not alone on the ride but his heroine Jacqueline is also along with him.